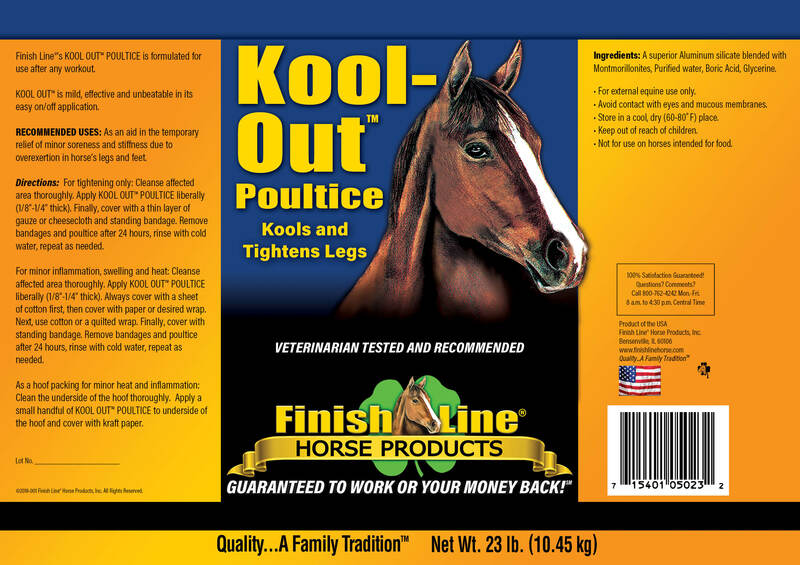 Kool-Out™ Poultice is an aid in the temporary relief of minor stiffness and soreness due to overexertion. 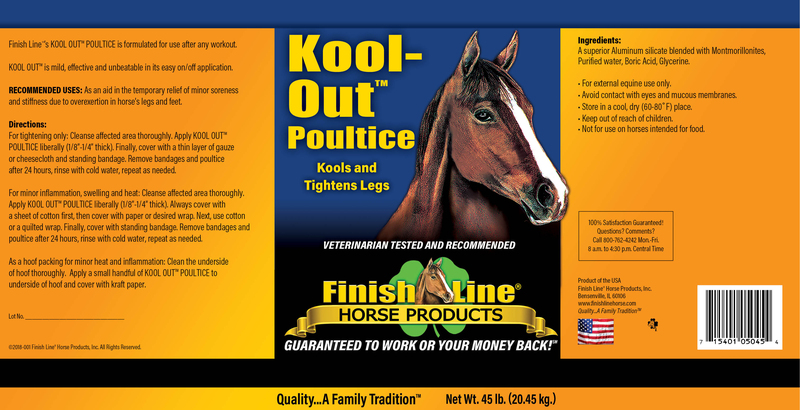 Equine skin is 8–10 times more sensitive than human skin; Kool-Out™ was formulated especially for sensitive horses. 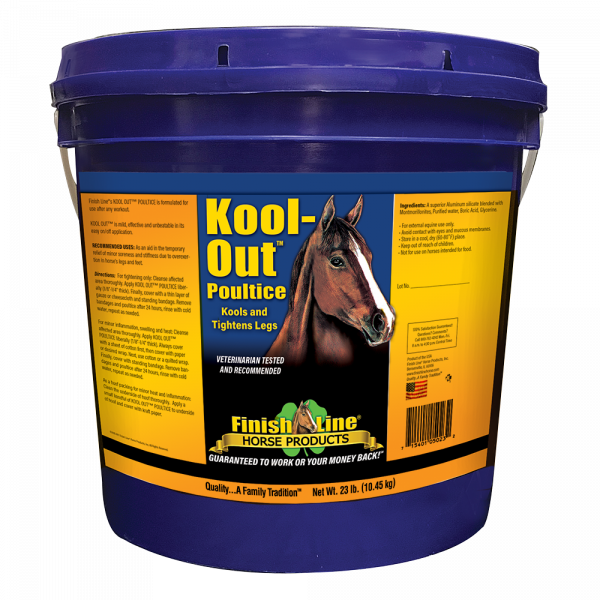 Kool-Out™ non-medicated poultice is creamy and smooth, it goes on easy and washes off easy. Finish Line®’s Kool-Out™ Poultice is mild enough for everyday use and for horses with sensitive skin, can be used over minor nicks and cuts. It cools and tightens your horse’s legs after work outs, performances, events, and races. Also used as a hoof packing. It cools and tightens your horse’s legs after workouts, performances, events and races. Mild enough for everyday use and for horses with sensitive skin. Note: Wash horse’s legs with castile or other non-medicated soap before application.